La Fheile Padraig Sona Daoibh! ‘Being a Kerryman, in my opinion, is the greatest gift that God can bestow on any man. When you belong to Kerry you know you have a head start on the other fellow. There are 32 Counties on the Island of Ireland. Each fiercely proud of their own distinctive landscape and culture. There are 4 ancient provinces : Ulster, Connacht, Leinster and Munster each with a storied history. But, there is only one Kingdom. Kerry is a Kingdom of Mountains and Lakes and the Sea. 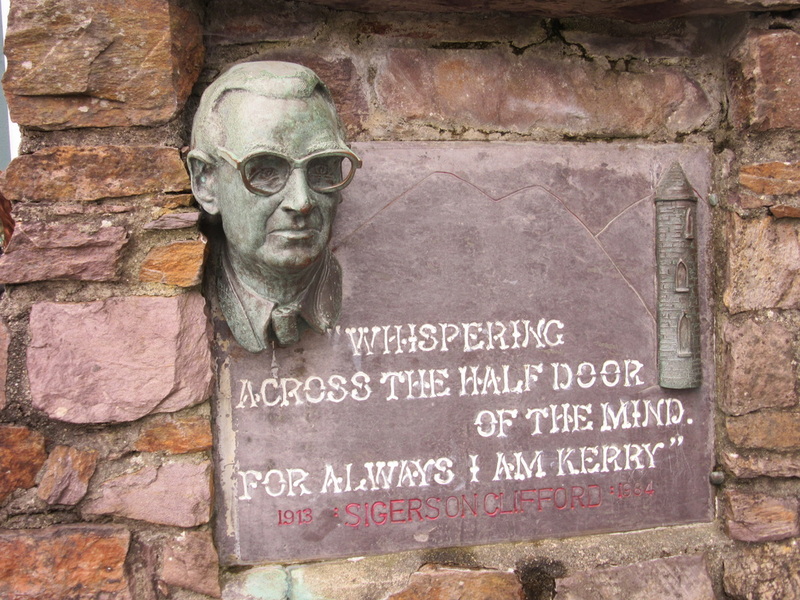 Kerry is a Kingdom of Poets and Playwrights. Kerry is a Kingdom of Soldiers, mystic Monks and Polar Explorers. Kerry is a Kingdom of Horsemen and the greatest Gaelic Footballers who have ever laced a boot. Kerry is a Kingdom of Brosnans, McElligotts, O’Sullivans, Kellihers, Foleys and Fitzgeralds. 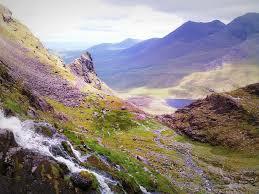 Kerry is a Kingdom of breathtaking beauty which nurtures dreaming souls. Dreaming souls like the poet Sigerson Clifford who wrote one of the most heart-piercing ballads in the canon of Irish song, ‘The Boys of Barr na Sraide’. A song which reminds us of those halycon days, now cherished in the memory, when our lives had no print or plan. Days, long passed now, spent with the Anam Cara of youth. Now, like chaff in the wind, The Boys of Barr na Sride, have scattered to the streets of London or Boston or Sydney with the Home Place of Cahirciveen visited in their sleeping time or in waking time reverie. And, as they dream, they will harmonise with the wonderful Kerry tones of Muireann Nic Amhlaoibh as along with her companions in Danu she takes us, once again to the top of the street where the boys gather to set the world to rights before they set off to hunt for the Wran on St Stephen’s Day. For the Home Place of Kerry now may lie miles and miles and years and years away from where you stand today but its landscapes, the richness of its language, the romance of its history and the lilt of its song will always, always, lie deep in the heart as long as there are spheres spinning in the heavens. Our Painting today is by Paul Henry (1876 to 1958). 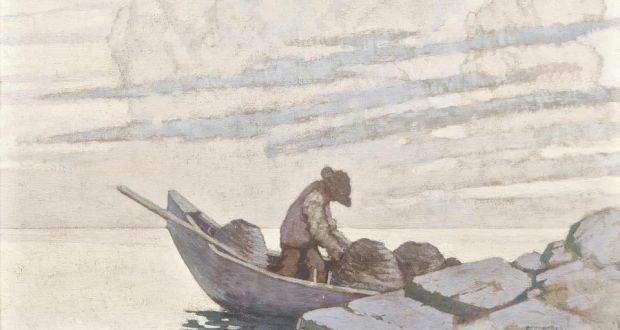 His engagement with the Irish landscape, its seas and its coast have left an indelible mark on the Irish imagination. This post dedicated to all the living O’Sullivans, Foleys, Fitzgeralds, Kellihers, Brosnans and McElligotts and to all of those sleeping in Kerry’s green fields. In memory of Joan O’Sullivan Hickey, proud native of Killorglin in Kerry, who I will meet again when the wheel of life runs down and peace comes over me. Carrantuohill Mountain at 3,046 Feet the highest in Ireland. One of my proudest accomplishments is to have climbed it early one morning after a night of intensive training with my cousin Michael in Falvey’s Bar in Killorglin. Brendan Kennelly (born 1936). Poet and Professor Emeritus at Trinity College. His collection, ‘The Man Made of Rain’ is never far from my reach. John B Keane (1928 to 2002) Playwright, Publican, Storyteller of genius. Monastic Settlement Skellig Michael – The home of a monastery for a dozen monks from the 6th to the 12th Century. A World Heritage Site and a liminal place between worlds. Tom Crean (1877 to 1938) Polar Explorer with Scott and Shackleton and a Homeric Hero. 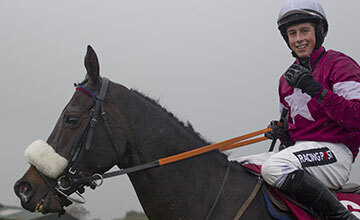 Bryan Cooper (born 1992) A Jockey I have sometimes entrusted my shirt to. His 3 winners at Cheltenham in 2013 allowed me to lay in a grand store of fine shirts for many a year. Mick O’Connell (born 1937) in Valentia. A natural aristocrat in his bearing. Legendary Gaelic Footballer for Kerry. 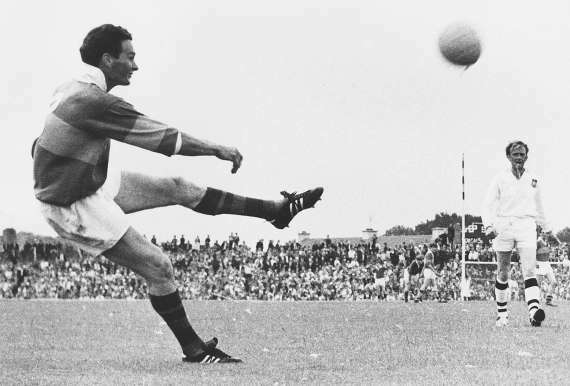 Selected for the GAA’s All Ireland Team of The Century. My uncle Joe (RIP) said he was the greatest player who ever lived and I never argued with my Uncle Joe. Sigerson Clifford (1913 to 1985) Poet and Playwright. Reared in Cahirciveen. His, ‘Ballads of a Bogman’ has added many treasures to the Kerry Word Hoard. Muireann Nic Amhlaoibh (born 1978) is a superlative singer in her native Irish and in English. All her recordings with Danu and solo come unreservedly recommended. This entry was posted in Folk Music, Ireland, Music and tagged Brendan Kennelly, Cahirciveen, Danu, John B Keane, Mick O'Connell, Muireann Nic Amhlaoibh, Paul Henry, Sigerson Clifford, The Boys of Barr na Sraide, The Kingdom of Kerry, Tom Crean by Thom Hickey. Bookmark the permalink. And congratulations, this post has been added to the #BlogCrush linky by someone who thought it was super fab! Feel free to collect you “I’ve been featured” blog badge. Thanks very much. Welcome to The Jukebox. Regards Thom. You got that one right, Thom, the innate superiority of Kerry people. My wife is from north Kerry and when she meets people for the first time, she makes sure to inform them early she is from the Kingdom, She says it with a blush of pride, as if this fact alone is enough for the hearer to swoon and bow before her. .
Quite right. My mum was a Kerry Woman.